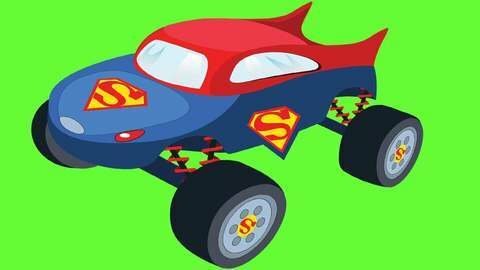 Batman and Spiderman run into a ton of potholes on the race track, so Superman calls his buddies. The bulldozer and cement mixer come and patch everything up again. And the three heroes put up a funny sign at the end of this monster truck cartoon! Watch full episode of this cartoon for kids online for free at SeeZisKids.